Product #21570 | SKU PT15656 | 0.0 (no ratings yet) Thanks for your rating! The Phottix Strato II Multi 5-in-1 Wireless Trigger System gives photographers incredible control over their flashes and studio lights. Four channels and four groups provide unparalleled control in the studio or on location. 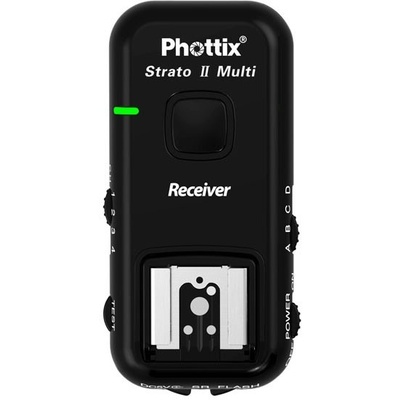 The Strato II Multi can be used as a wired or wireless shutter release. The 2.4 GHz. transmitter and receivers offer ranges of more than150 meters and sync at speeds of 1/250 second *.